First let’s take a look at the data maps overlay. It’s a great way to get a visual representation of all kinds of things that are going on in your city. 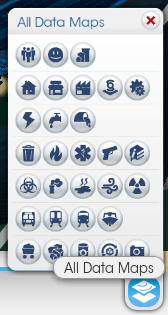 If there’s any complaint to be made here, it’s that it might take a second to figure out what some of these icons are. Like that little gear on the end of the second row? It means “industrial tech” but I only know that because I just looked it up. My only other complaint might be how this overlay lives in the extreme lower right corner of the screen, which means I usually accidentally scroll around the map trying to get at it. Thankfully that’s something I can adjust in the settings menu. And even then I can’t see everything; there’s more buildings off to the left and the right that you’ve got to scroll around to see. It’s a minor annoyance, but it’s a feature that should be able to give the user a quick view of some aspect of their city at a glance, and scrolling around is just a pain. It’s especially funny to me considering how big of a deal the internet is collectively making about the tiny city size. I would think the small cities would make it more feasible for your computer to render the whole city at once, but for whatever reason, it isn’t happening here. 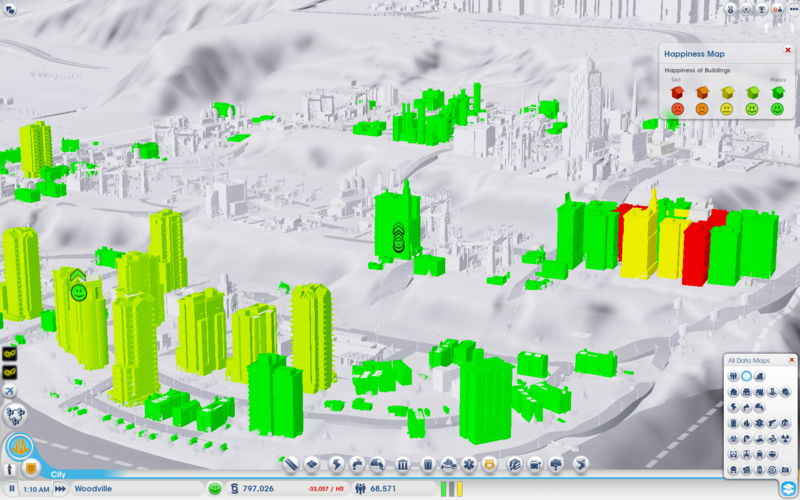 There is a lot to talk about with the new SimCity…what do you think? What features do you think are outstanding? Or are you still trying to get on a server and stay there? Let’s discuss in the comments! 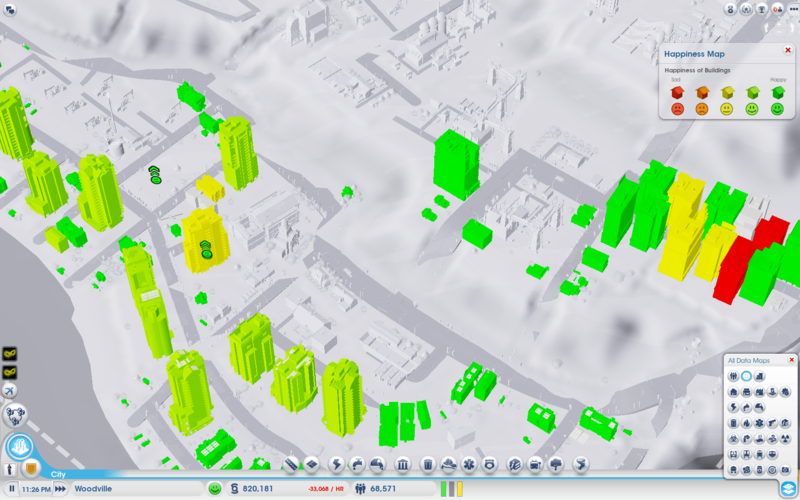 This entry was posted in PC, Sim and tagged game design, game usability, gui, simcity, social games, usability, user experience, ux by mark d. Bookmark the permalink.